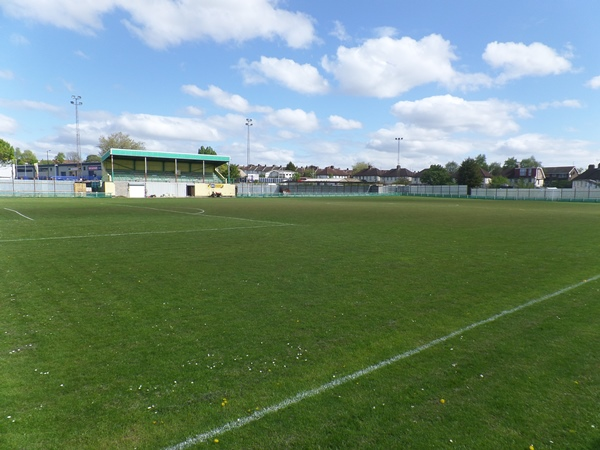 Match ends, Haringey Borough 0, AFC Wimbledon 1. Second Half ends, Haringey Borough 0, AFC Wimbledon 1. Foul by Michael Ademiluyi (Haringey Borough). Adedeji Oshilaja (AFC Wimbledon) wins a free kick in the defensive half. Joel Nouble (Haringey Borough) wins a free kick in the defensive half. Goal! 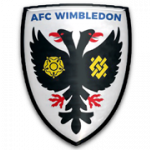 Haringey Borough 0, AFC Wimbledon 1. Mitchell Pinnock (AFC Wimbledon) left footed shot from the left side of the box to the high centre of the goal. Corner, AFC Wimbledon. Conceded by Jorge Djessi-Sambu. Substitution, Haringey Borough. Coby Rowe replaces Lionel Stone. Corner, AFC Wimbledon. Conceded by Valery Pajetat. Attempt saved. Tom Soares (AFC Wimbledon) right footed shot from outside the box is saved in the top right corner. Attempt blocked. Mitchell Pinnock (AFC Wimbledon) right footed shot from outside the box is blocked. Assisted by Joe Pigott. Attempt blocked. Mitchell Pinnock (AFC Wimbledon) right footed shot from outside the box is blocked. Foul by Jorge Djessi-Sambu (Haringey Borough). Mark Kirby (Haringey Borough) wins a free kick in the defensive half. Attempt saved. Mitchell Pinnock (AFC Wimbledon) left footed shot from outside the box is saved in the bottom right corner. Assisted by Tom Soares. Attempt missed. Toby Sibbick (AFC Wimbledon) right footed shot from outside the box misses to the left. Substitution, Haringey Borough. Anthony McDonald replaces Charley Barker. Offside, AFC Wimbledon. Joe Pigott tries a through ball, but Mitchell Pinnock is caught offside. Foul by Rakim Richards (Haringey Borough). Offside, Haringey Borough. Michael Ademiluyi tries a through ball, but Joseph Staunton is caught offside. Joel Nouble (Haringey Borough) wins a free kick in the attacking half. Attempt saved. Toby Sibbick (AFC Wimbledon) right footed shot from the right side of the box is saved in the bottom right corner. Assisted by Kwesi Appiah. Substitution, AFC Wimbledon. Jake Jervis replaces Scott Wagstaff. Kwesi Appiah (AFC Wimbledon) wins a free kick in the defensive half. Foul by Lionel Stone (Haringey Borough). Corner, Haringey Borough. Conceded by Ben Purrington. Michael Ademiluyi (Haringey Borough) wins a free kick in the attacking half. Attempt missed. Kwesi Appiah (AFC Wimbledon) header from the centre of the box misses to the left. Assisted by Mitchell Pinnock with a cross. Substitution, AFC Wimbledon. Anthony Wordsworth replaces Anthony Hartigan. Attempt missed. Joseph Staunton (Haringey Borough) right footed shot from outside the box misses to the left following a corner. Tosin Olufemi (Haringey Borough) is shown the yellow card for a bad foul. Scott Wagstaff (AFC Wimbledon) wins a free kick on the left wing. Foul by Tosin Olufemi (Haringey Borough). Foul by Joel Nouble (Haringey Borough). Hand ball by Joe Pigott (AFC Wimbledon). Substitution, Haringey Borough. Jorge Djessi-Sambu replaces Georgios Aresti. Foul by Georgios Aresti (Haringey Borough). Delay in match Michael Ademiluyi (Haringey Borough) because of an injury. Attempt missed. Joe Pigott (AFC Wimbledon) header from the centre of the box is close, but misses to the right. Assisted by Mitchell Pinnock with a cross. Attempt missed. 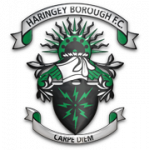 Georgios Aresti (Haringey Borough) right footed shot from more than 35 yards misses to the right. Assisted by Michael Ademiluyi. Second Half begins Haringey Borough 0, AFC Wimbledon 0. First Half ends, Haringey Borough 0, AFC Wimbledon 0. Attempt missed. Mitchell Pinnock (AFC Wimbledon) left footed shot from outside the box is close, but misses the top left corner. Assisted by Tom Soares following a corner. Corner, AFC Wimbledon. Conceded by Michael O'Donoghue. Attempt saved. Ben Purrington (AFC Wimbledon) left footed shot from the left side of the box is saved in the centre of the goal. Assisted by Mitchell Pinnock. Lionel Stone (Haringey Borough) wins a free kick in the defensive half. Attempt missed. Joe Pigott (AFC Wimbledon) right footed shot from the centre of the box is high and wide to the right. Assisted by Kwesi Appiah with a cross. Corner, Haringey Borough. Conceded by Kwesi Appiah. Joel Nouble (Haringey Borough) wins a free kick on the left wing. Hand ball by Scott Wagstaff (AFC Wimbledon). Mitchell Pinnock (AFC Wimbledon) hits the bar with a left footed shot from outside the box from a direct free kick. Toby Sibbick (AFC Wimbledon) wins a free kick in the defensive half. Georgios Aresti (Haringey Borough) wins a free kick in the defensive half. Attempt missed. Terell Thomas (AFC Wimbledon) header from the centre of the box is too high. Assisted by Mitchell Pinnock with a cross following a corner. Corner, AFC Wimbledon. Conceded by Rakim Richards. Attempt blocked. Toby Sibbick (AFC Wimbledon) left footed shot from outside the box is blocked. Attempt missed. Anthony Hartigan (AFC Wimbledon) right footed shot from outside the box misses to the right. Assisted by Joe Pigott. Tosin Olufemi (Haringey Borough) wins a free kick in the defensive half. Attempt blocked. Georgios Aresti (Haringey Borough) right footed shot from outside the box is blocked. Corner, Haringey Borough. Conceded by Adedeji Oshilaja. Attempt blocked. Michael Ademiluyi (Haringey Borough) left footed shot from a difficult angle on the left is blocked. Assisted by Michael O'Donoghue with a cross. Corner, AFC Wimbledon. Conceded by Mark Kirby. Mitchell Pinnock (AFC Wimbledon) wins a free kick in the defensive half. Corner, Haringey Borough. Conceded by Toby Sibbick. Attempt missed. Scott Wagstaff (AFC Wimbledon) right footed shot from outside the box misses to the left. Assisted by Kwesi Appiah. Attempt missed. Joe Pigott (AFC Wimbledon) header from the centre of the box is close, but misses to the left. Assisted by Toby Sibbick with a cross. Attempt missed. Kwesi Appiah (AFC Wimbledon) right footed shot from more than 35 yards misses to the left. Attempt missed. Joe Pigott (AFC Wimbledon) right footed shot from outside the box misses to the right. Corner, AFC Wimbledon. Conceded by Lionel Stone.